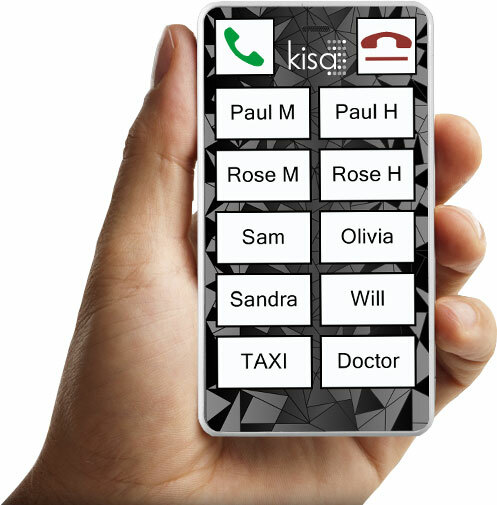 KISA team have been working hard to find a way to use the latest technology to make mobile phones simpler and more accessible to the elderly. 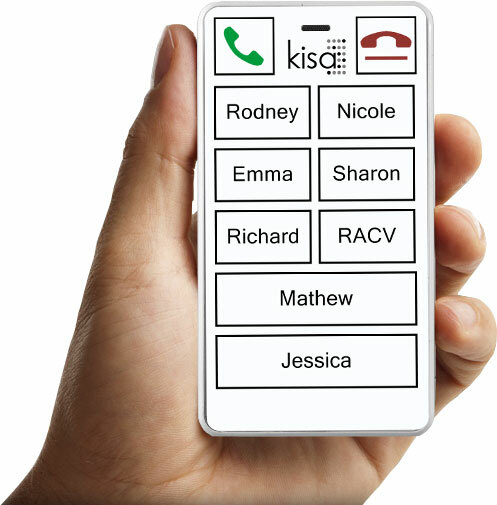 Surely we can help keep them connected to the community or even be able to summon help without feeling they need to be close to the home phone with big buttons which is connected to the wall. Surely we can use this technology to help people be more mobile, and more independent and safe for longer. 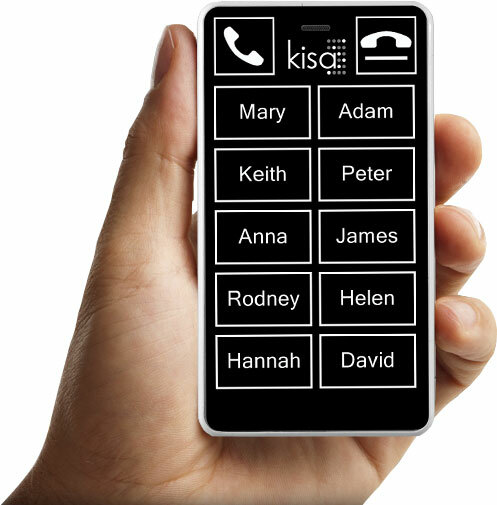 And surely, a device like that would give their carers the peace of mind that they can be reached literally at a touch of one button. And surely it doesn't have to cost the earth! 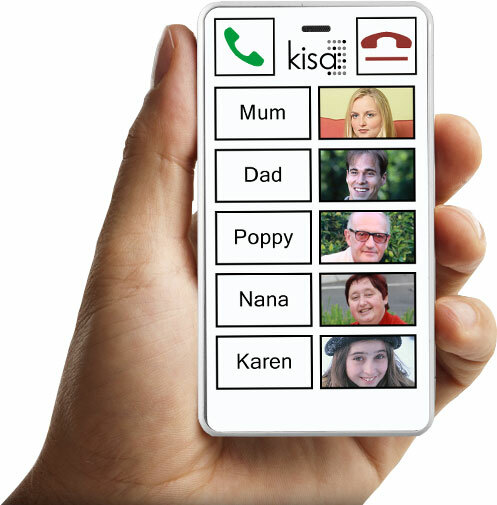 This is how we developed the leading emergency phone for seniors. 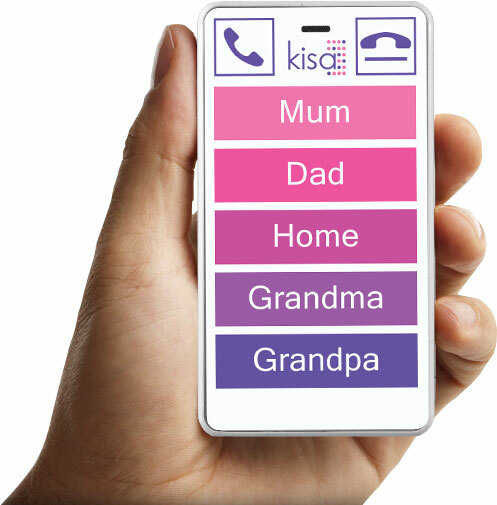 KISA phone is the best mobile phone for the elderly who need a reliable way of staying in touch with their loved ones and do not wish to deal with the complexities of the modern smart phones. 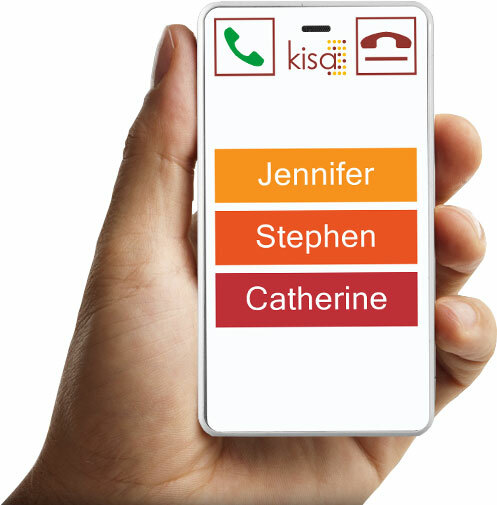 It was specifically developed by our expert team to be the easiest to use phone for seniors with large tactile buttons and no confusing digital menus. It is light weight so you can wear it around your neck. 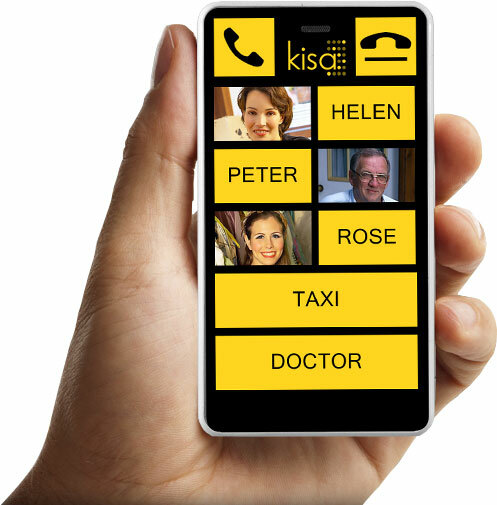 Here at KISA we developed a complete cell phone service for senior citizens. 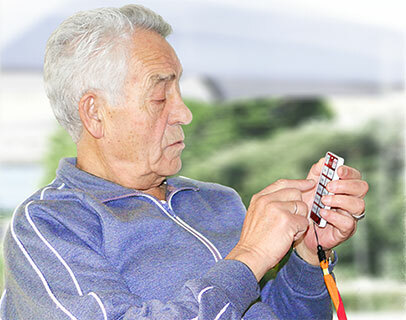 We provide you with a very simple, intuitive elderly mobile phone coupled with ideal phone plans for seniors. There are no lock-in contracts, which means you can change your call plan on a monthly basis depending on your needs. And the rates start from as little at $15 per month, which is a very small price for your peace of mind and the safety of your loved ones. 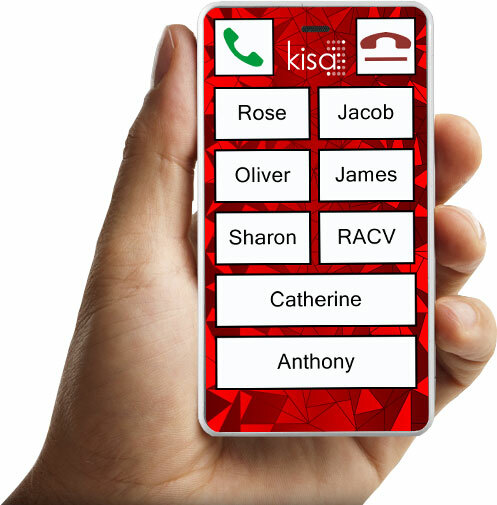 KISA team have thought of everything to make sure the KISA phone provides the best mobile phone experience for the elderly. Every KISA phone comes with a matching lanyard to make sure the phone is always with you when you leave home. 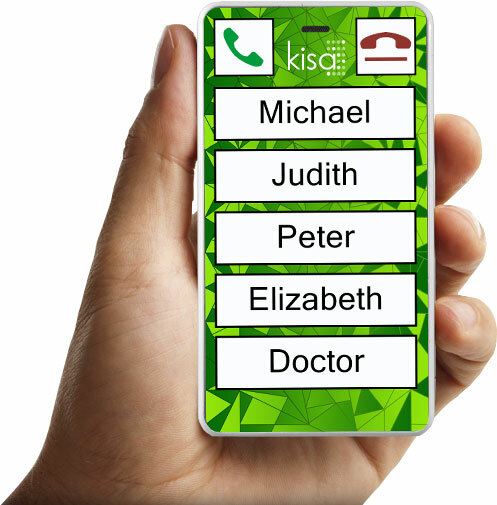 The SOS button on the back of the phone will immediately turn the phone into a mobile emergency device and call 000 if the need arises. We have also included a charging cradle to make charging as easy as possible. 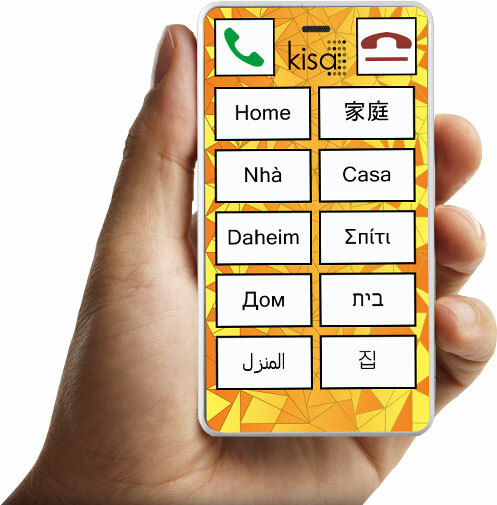 We have made it our mission to make the ultimate phone for seniors by Keeping It Simple Always!